OEL 40 Cal Premium Clothing is built from the highest grade of FR textiles in the USA. OEL offers a superior product to its competition. Rest assured that you and your employees are taken care of. 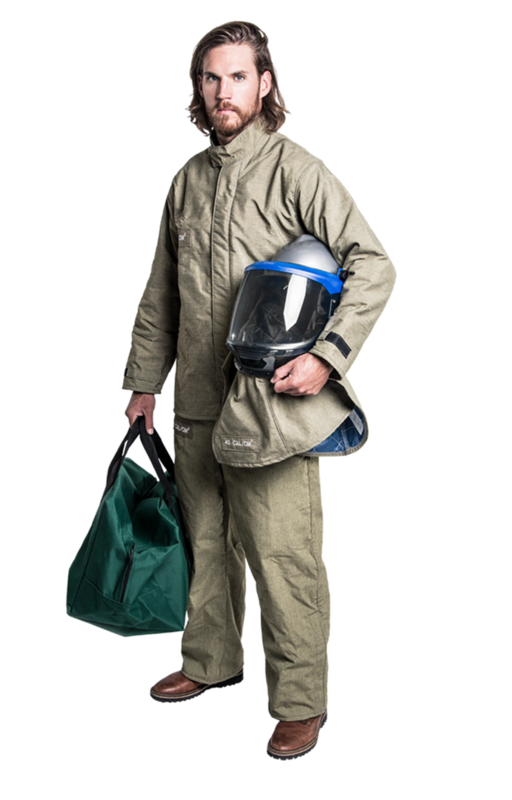 Premium Lift-Front CLEAR Hood, Switchgear Hoods, Coveralls, Jacket and Bibs, and Long (50") Coats.